Victrex has chosen to invest in the tooling design and processing technology called PtFS (Production to Functional Specification) from UK-based Surface Generation. It seeks to bring enhanced manufacturing effectiveness to its parts-based ‘mega-programmes’ and to OEM, tier 1s and the moulding community. Surface Generation’s unique technology uses patented hardware and proprietary software. It actively manages multiple part areas during processing and drive reductions in the energy consumption, injection processing pressures and cycle times required to make even the most complex material and part combinations. This investment in innovation will support Victrex increasing commercialization of its parts-based mega-programmes. 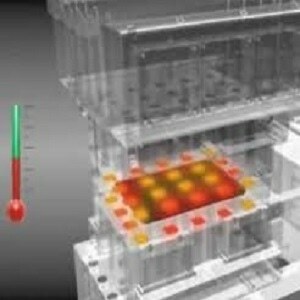 Surface Generation’s technology could, in the future, help moulders and others in the industry. Victrex’s reason to invest reflects that it is gaining technology which could enable customers’ access to produce more complex parts that may have limitations from traditional tooling designs used in injection or compression moulding due to heating and cooling profiles of existing techniques in the tools. "This investment with Surface Generation provides Victrex with an opportunity to finesse unique and potentially breakthrough manufacturing techniques," said Jakob Sigurdsson, CEO at Victrex. "We believe that the advantages of PtFS processing, where crucial controls can be applied to temperature levels in real time in the tool, could be a major advancement for our parts programmes, such as medical or automotive gears and potentially in aerospace composite solutions. At Victrex, we are very excited about the wide range of potential benefits that could result from PtFS." The agreement with will support Victrex increasing commercialization is directly in line with Victrex's strategy of continued investment in its mega-programmes, parts portfolio offering new and innovative disruptive technologies that not only extend the company's capabilities as a material solutions provider, but also complement Victrex’s wider technology offering to its customers. Victrex has invested a small equity stake in Surface Generation, alongside the ability to utilize the technology.